IX National Conference of the Russian Association of Wind Power Industry “The basic fundamentals of the Russian wind power market – experience and standards”, which will take place on 2nd December in the Congress Center of the Pavilion “Electrification” at the Exhibition of Economic Achievements in Moscow. The conference is attended by representatives of the State Duma, the Ministry of Energy, Ministry of Industry and Trade, the System Operator of the Unified Energy System, the Federal Agency ROSSTANDART. 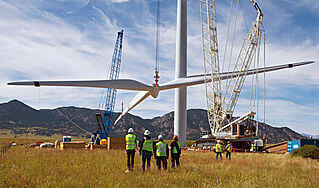 Presentations will be also made by companies with experience in design, construction and operation of wind farms. Program & registration. ⟵Приветствуем ЗАО “Терминал Тольятти” – нового члена РАВИ!